When it comes to zombies, no one does it better than the Walking Dead. 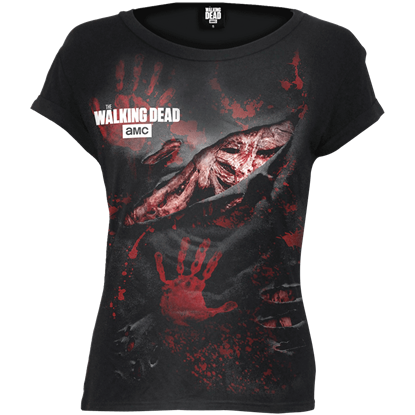 Now you can portray the grotesque undead with the Walking Dead Cap Sleeve T-Shirt, the exceptional garment ideal for all wardrobes of zombie enthusiasts! 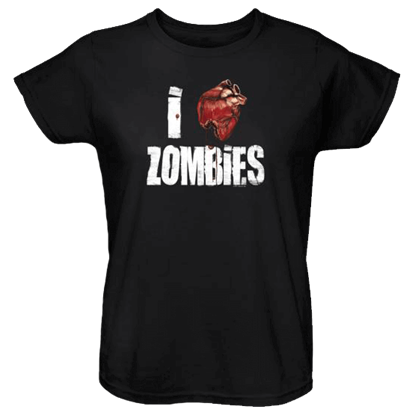 The Womens Zombie Love T-Shirt takes the classic pictogram of I Heart You and zombifies it. The message is basically the same, professing a love of zombies through words and a heart, although this heart is more bloodstained. What do you get when you combine a shotgun, a machete, and a good zombie call with an intrepid but bored female survivor? 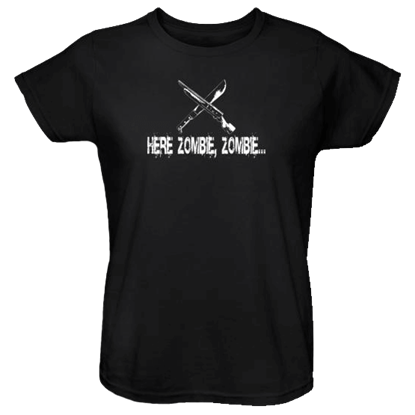 You get a lot of dead zombies that will not get up again and the Womens Zombie Lure T-Shirt.